"Dr. Okolo is an amazing caring doctor who goes above her professional duties to make sure her patient is getting the best possible care." "We love Dr. Okolo; she is amazing. She has been treating my son since he's a baby & I wouldn't trust anyone else with his care. I recommend her to everyone." "Dr. Okola is a wonderful dr. Explains all information fully & takes patient history & review herself." "I know she truly cares for my son. She always listens to my concerns and clearly answers questions I have." "From day 1 Dr. Okolo has been amazing! She takes time to explain everything, provides available options and is very compassionate, friendly & supportive." 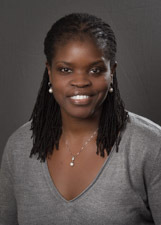 "Dr. Okolo is an exceptionally caring and knowledgeable doctor. So glad we found her." "Very sweet, took her time to answer all my questions & concerns. I liked her a lot!!" "Excellent doctor, very knowledgeable, compassionate and always looking for solutions." Pediatric concussions: When should a parent worry about a head injury? Thomas Celentano has a rare degenerative disease for which there is no cure. Earlier this month he got the chance to take in a game at Madison Square Garden. The highlight came before the game when he stopped by the locker room to meet his hockey idol, goalie Henrik Lvndquist.